From Thailand we hopped on a short flight to Vietnam. From hot to cold. It was their winter season and I wasn’t exactly prepared with the proper clothing. I was expecting 10 degrees, but it was more like 4 degrees, and wet. I wore everything I had for four days straight. Not stylish. 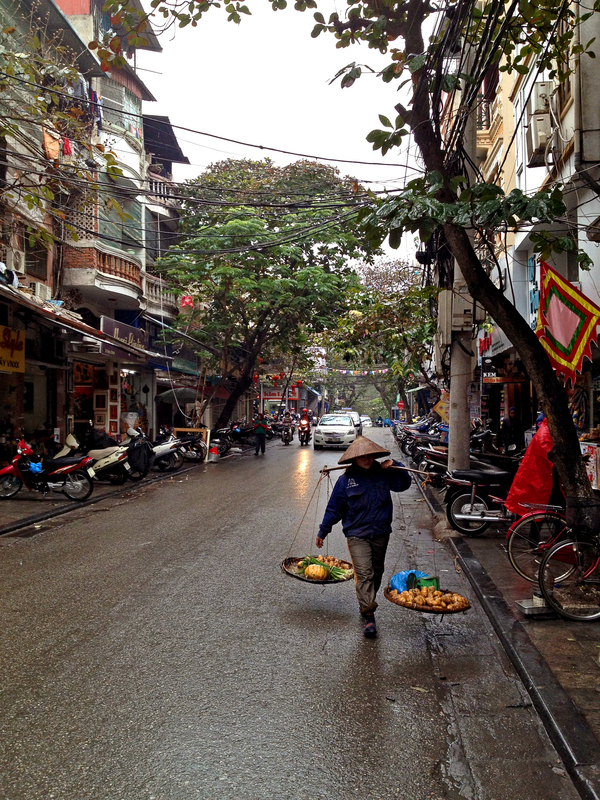 We spent a few days in Hanoi and stayed in the Old Quarter. It was unlike anything I had seen before. It was interesting to see how intimate the locals are with using the street as their work space. We saw people cutting heads off chickens, and selling everything from sweets to vegetables and tofu. A lot of people washed their pots and pans on the street, and of course there was a whole lot of street side cooking. You think you know how to cross the street — until you have to cross the street in Hanoi. It was a crazy experience due to the hundreds of thousands of motor bikes (see video below). I was given the advice to look straight and walk forward without hesitation. Sure enough the motor bikes weaved around and all was good. 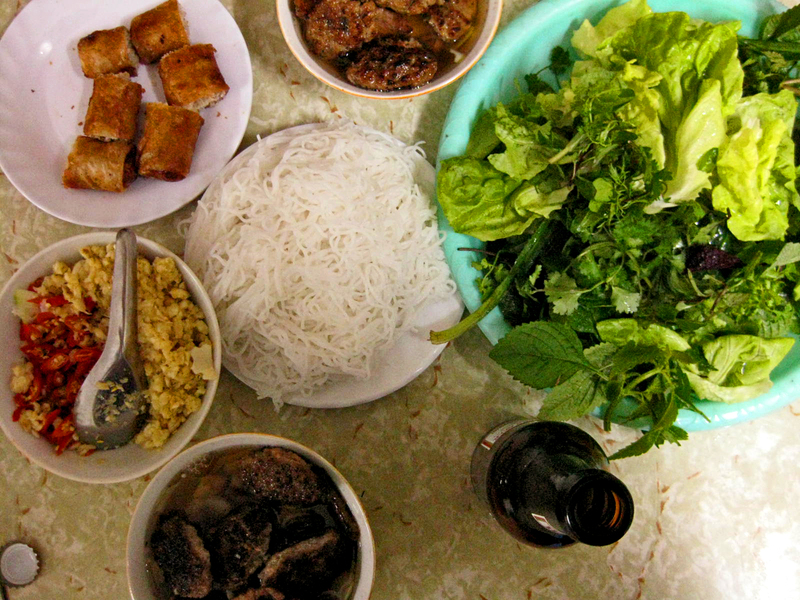 Just like Thailand, we ate our way through the city and it was delightful. 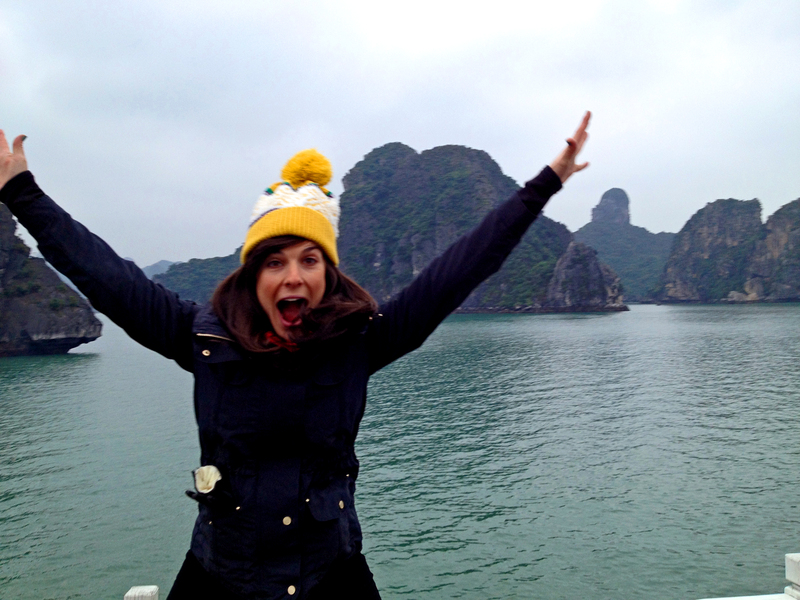 Following Hanoi we hopped on a junk boat and toured Halong Bay. 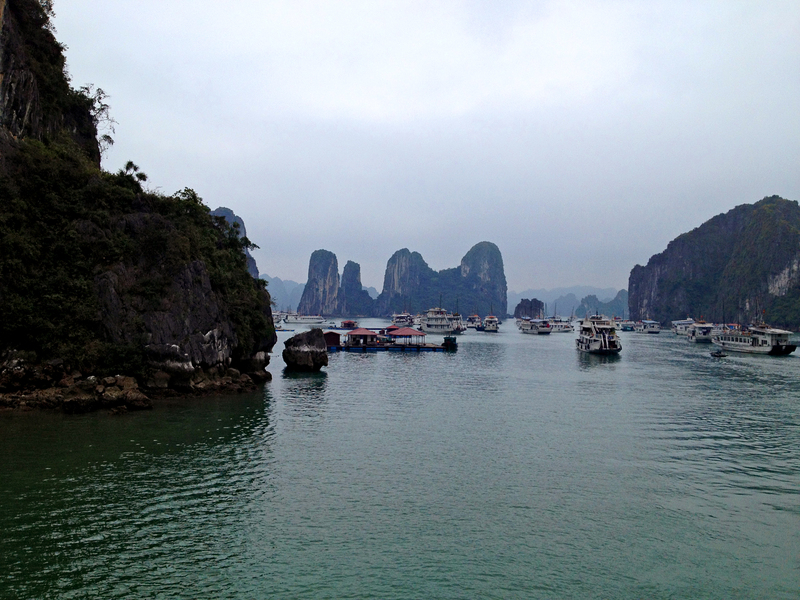 It has spectacular views with gorgeous rock formations everywhere you look. 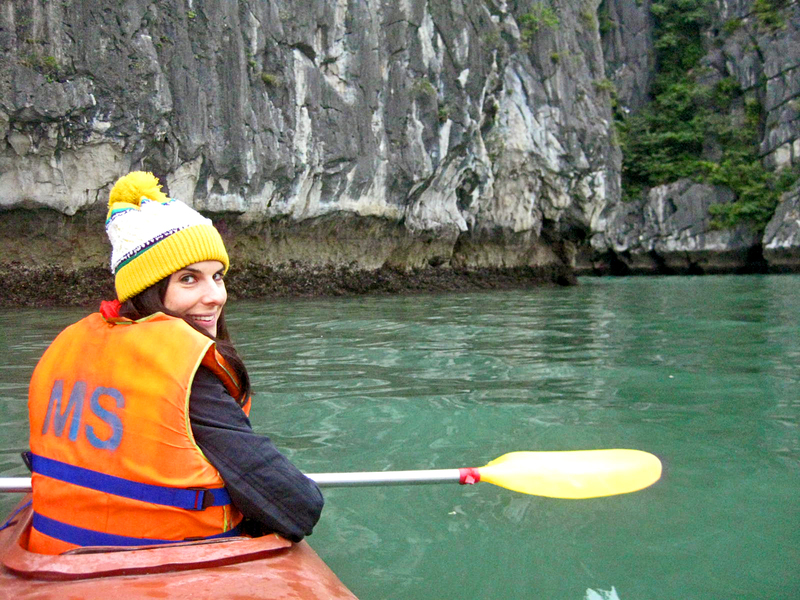 We also went kayaking, visited a floating fishing village, went inside a cave, and learned how to make Vietnamese spring rolls. I would love to go back to Vietnam to see more of it…as a stranger told us we were “really short changing ourselves with only four days in Vietnam.” Never enough time to do everything right?